While winter may be the perfect time to go ice skating and make a snowman, it’s also the toughest season on your home. In most parts of the country (ahem, Vancouver), with the temperature below freezing for an extended period, it’s important to make sure your home is ready for the worst mother nature can throw at it. The last thing you want is a flooded basement or a burst pipe. Here are some ways to prepare your home for the winter. Make sure your furnace is ready for the cold of winter. You wouldn’t be surprised how many furnaces break down during the wintertime on the coldest nights. Don’t let this happen to you. Make sure your furnace is serviced at least every couple years by a certified and qualified technician. Not only can this prevent your furnace from breaking down, by running more efficiently, but this can also help you save a good chunk of change on your heating bill. Speaking of your furnace, it’s also important to regularly change your furnace air filter. I know, this may seem like a trivial task, but it’s super important. Not only does this ensure the air that you’re breathing is clean, but it also helps ensure the furnace is working at peak performance. By not switching the air filter when it’s dirty, it can cost you more money in your heating bill and possibly damage your furnace. Before the white stuff blankets your home, take a close look at your roof to make sure it’s in good shape. Do this during the fall before the mercury plummets. That way if you see any damage, you can get it taken care of before the toughness of winter arrives. Speaking of the roof, make sure the gutters and eavestroughs are cleared of debris and leaves. Failing to do this can result in severe damage to your home. During a freeze and thaw, your eaves and gutters can overflow, resulting in flooding into your roof. 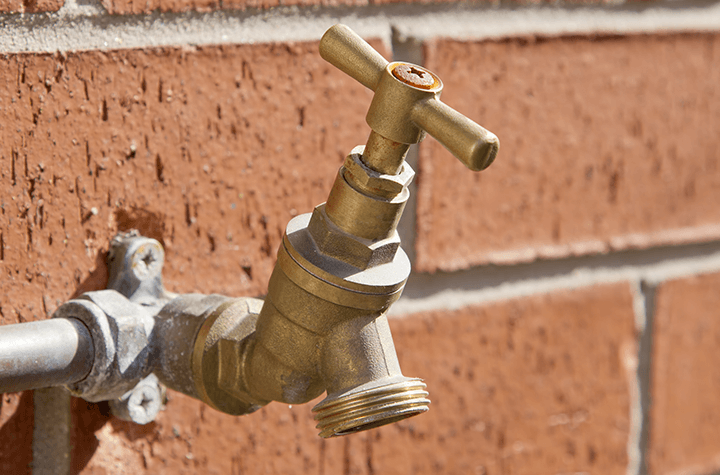 Lastly, make sure the shut-off valve is turned off on your tap on the outside of your house. Failing to do this can result in a burst pipe and flooding (not a fun situation to deal with, especially during the peak of winter). If you’re travelling down south, you’ll want to make sure you leave your heat turned on inside the house. While you may save money by turning off your furnace, you run the risk of your pipes bursting. This can lead to flooding, and the damage can be even more costly since you aren’t there. Likewise, you’ll want to ask a neighbour, friend or family member to keep a watchful eye on your home. That way if anything happens to your home when you’re gone, such as a tree branch through your roof, you can handle it as soon as it happens. Lastly, you’ll want to make sure someone takes care of the winter maintenance while you’re gone. This includes salting and shovelling the sidewalks and driveways. If someone slips and falls on your property in your absence, you could be held liable. Plan ahead of time and hire someone to handle the “fun” part of winter.